What is up, everybody? Fred Lam here and welcome to our daily huddle episode number 60. I obviously can’t believe that we are on episode number 60 now. I was saying about a month from now, we’re going to hit three digit which is going to be episode number 100. So obviously, I’m doing my best to be here every single day to answer 5 questions that you may have about your business, or about your ads, or you have an idea that you want to get my advice on, and I’m just going to basically spend time every single day with every single one of you to share you with my knowledge, what I know, what I’ve gone through, so that you guys can have a head start and to basically get you unstuck in your business. 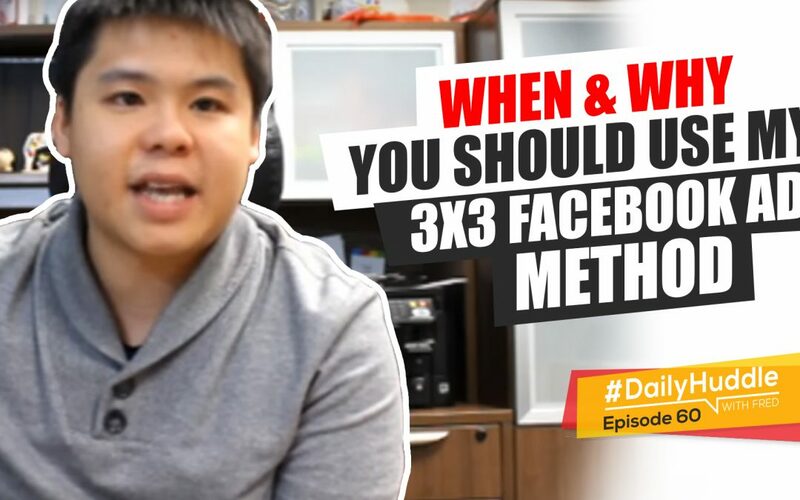 Now, with that being said, right now, obviously in our topic for today, it is talking about the 3×3 method in Facebook ad that I actually taught in my YouTube channel. And if you have not watched that video, I highly recommend you to actually go over to YouTube, look for my name, Fred Lam, and simply look for like 3X3 and you will be blown away on that strategy that I actually invented 30 years of running Facebook ads especially for eCommerce and for all other businesses as well. Now with that, I’m not going to go into that specific topic yet because someone asked about it and when that question comes up in my 5 questions, I will go on and talk in detail on when and why you should use the 3X3 method. [0:02:50] Question 1: Pixabay app -If we can create custom audience for each product that we advertised inside Facebook, then please explain why still use an app when we can already solve that inside Facebook. What is the difference or advantage of Pixabay? My question is about Pixabay app. If we can create custom audience for each product that we advertised inside Facebook, then please explain why still use an app when we can already solve that inside Facebook. What is the difference or advantage of Pixabay? Thank you so much, as always daily huddle is helping everyone a lot. So, thank you Kelly for sharing that my daily huddle really helps you a lot. Now, here’s the deal Kelly with Pixabay. You don’t just create custom audience, you can actually create custom purchase conversion or custom ad to carts or initiate checkout or view product on your specific product. Now, the answer to your question is YES – there is a process that you can actually do all inside Facebook. 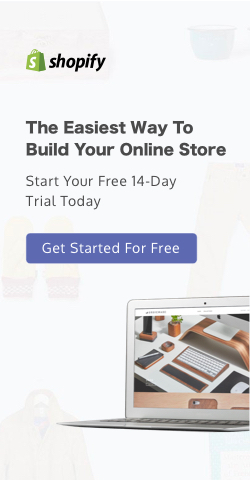 But it does require you a lot of time and to figure out and find the information because inside Shopify, for every single product it has a unique ID, and you got to look for that ID, and then you got to synchronize everything together and if you don’t do it right, then your Facebook ads are going to optimize incorrectly. And on top of that, with Pixabay, you also have the ability to run dynamic retargeting ads. So, it’s like on Amazon, when you go to Amazon, look for our products and you did not finish the transaction, that’s very same product keep following you wherever you go in Facebook. We actually have that same ability inside Pixabay as well and we even show you how you can actually set up a dynamic retargeting ad for your business. And I have a lot of students that actually follow exactly what I tell them to do using Pixabay and using dynamic retargeting at and their return on ad spend. It’s just phenomenal for them and they said that it is definitely super worth it because obviously, one sale already pay off or Pixabay already. So again, inside Pixabay, it’s not just about custom audiences, it’s also about creating a purchase conversion or whatever events throughout your eCommerce journey of your customers and also giving you the ability to create dynamic retargeting ad. So, I hope that helps you out. [0:05:02] Question 2: CPC 0.34 AUD, CTR 3.64%, CPM 12.36AUD, website add tocart 3 but no sale. I have spent over $100. I have stopped my campaign. But could you please help me what’s wrong with my campaign? Hi, Fred! Thanks for sharing very important information because not everyone is sharing this important information. Zero Up is very helpful too. I highly recommend everyone to install. Thank you very much for your support Keyur and I am very, very excited and proud and also happy about the fact that you guys really see the value of my daily huddle that I am just sharing a wealth of knowledge that I have gathered through the past 13 years. And obviously, everyday our business change. There are something new that comes up and I just shared them all with you guys. So, thank you for that and obviously, kudos to every single one of you that’s watching my video every single day. I have one question if you can help me. I would like to share some of my campaign with you. CPC 0.34 AUD, CTR 3.64%, CPM 12.36AUD, website add tocart 3 but no sale. I have spent over $100. I have stopped my campaign. But could you please help me what’s wrong with my campaign? I really appreciate it if you could help me. Great question. I don’t have enough background information about your campaign. 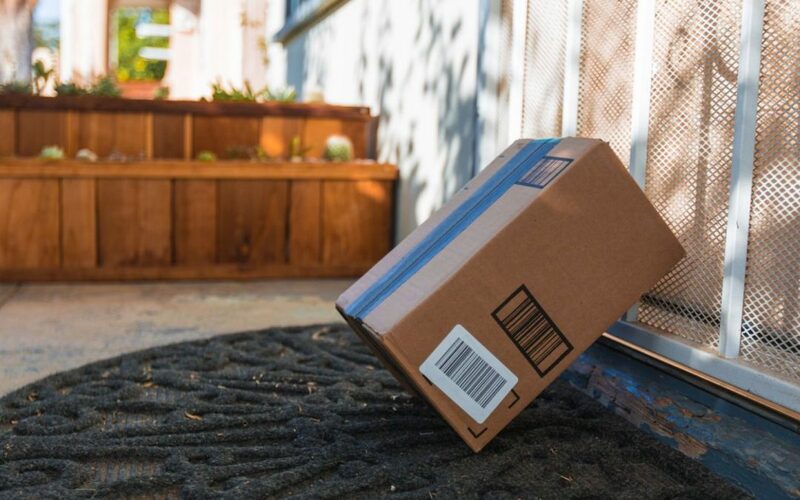 You only share obviously the 4 level optimization number with me, but I don’t know if you’re using free plus shipping strategy, you’re using a keystone price with free shipping, or you’re charging X amount of dollars for the product with free shipping. I don’t know what strategy you are using. But, here’s the deal, I don’t know if your cost-per-click it’s a link or it is a all, there is a difference when it comes to Facebook Ads, when a CPC all and CPC link. There is a big difference. So let me assume things right now. Obviously, you’ve gone through zero app and I would imagine that you know that I always just look at the CPC link and never look at the CPC all. Also, I would assume, it is a CPC link. So, it cost you 34 cents in order for you to get a visitor to your web page. In this case, as a product that is a phenomenal result, the goal is to get under a buck. Right now, you’re at 34 cents. Great job! Now your CPM is great $12 and your clickthrough rate is also phenomenally well, 3.64 %. Hence, that’s why your cost per click is so low. Now you aren’t getting add to carts but you’re not getting any sale and if you said you spent a $100 and I’m going to bring out my map. $100 divided by 34 cents, so you basically have 300 clicks, 294 to be exact. I’m going to round it up 300 clicks to your product page and you only had three ad to cart. So based on these information, I would assume that you are not using a tripwire method. You are simply just selling a product for a price. Now the person, if I dissect these – and again you guys are going to hear a lot more of this in the coming years, it’s the psychology behind an ad. Alright, I’m going to actually be more vocal about understanding the psychology and the behavior of an ad. So for me, if I look at – I don’t have an ad in front of me obviously but I’m interpreting based on data that you have shared. If you’re getting such a high clickthrough rate and you’re getting such a low cost per click, there is a level of interest for your product. Now, people are not even adding to cart, let alone not even getting a sale but if we actually stripped down so people saw your ad, your click-through rate is high, your cost per click is low and that means that people aren’t interested. You’ve got the right audience, your product is very interesting to them. They what they wanted to get it, when they click on the ad, they go to your product page, right? That’s the next step in the sales journey. They go to your product page and check out your product. Now, out of 300 people, you only have 3 that added to cart. 3 out of 300, that’s phenomenally low just on adding to cart. So from there, I can basically identify – I think the reason why is because you are selling a product with a price and the price that you sell does not exceed the perceived value of the product. So let’s say for an example, you are selling an apple not an iMac app or an iPhone Apple. I’m just saying the red juicy fruit Apple. We, in all obviously, we all know an apple will cost us like 50-75 cents or a dollar max if it’s like all organic and all those crazy stuff. If you actually sell that Apple for 3 bucks, people cannot justify that perceived value. They’re just going to leave. So what I can see is I think you are pricing your product way too high. What you want to do, now that you’re getting these kind of results from the ad you want to actually decrease by a dollar every single day, and let the market tell you what they think the dollar amount should be, and what they believe the value of that product is going to be. So instead of you just putting a number on your products, simply just put in a product number, if people are still not adding cart, slowly move it down. So you want to actually take a look at that and I think that is going to make a night-and-day difference for you especially if you are selling a product with a pricing on there. Now, this recommendation and strategy it’s not just for Keyur. It is absolutely for anyone that is selling a product online and you are asking X amount of pricing for the products. You’re not using free plus shipping, you’re simply just selling product for a price and what will stop, because your ad performing well and people are not adding to cart, it’s really the price. It’s not the product because they have been “pre-sold” on the ad about your product. They just want to justify the price right now and you want to slowly decrease it by a dollar every day to see where the sweet spot is going to be. So I hope that helps you out. [0:11:35] Question 3: Can Google Ad Words be an alternative to advertising accessories that may be forbidden on Facebook like kitchen knives or any blades use on survival niche? Can Google Ad Words be an alternative to advertising accessories that may be forbidden on Facebook like kitchen knives or any blades use on survival niche? And if yes, could you please give any tips, thanks. Dramane, the answer to your question is YES. Google can be a source for you and if you’re selling some kind of knives, I will look into Google Shopping, alright. I would look into Google Shopping because if you go to Google shopping, you’ll see that a lot of people actually use that and Google Shopping is a lot easier than what you guys think. And yes, I do owe my Zero Up members a complete training on Google shopping and I will get that released ASAP, once I actually get myself back into the content force. Obviously I’ve been so busy running on my team, and creating some amazing stuff right now, but again Google shopping is going to be something that you wanted to look at and to share a little bit perspective about Google Shopping all you got to do is basically provide your Shopify feed to what we call the Google Merchant Center and Google Merchant Center, you want to synchronize of your Ad Words account and when you set up a Google Shopping campaign, Google will actually take the title image and the description of your products and determine where you are going to show your ads in the Shopping Channel, and you simply do not control where your ads are being showing other than creating exclusions. I just gave you a two-minute background on how to use Google Shopping. So I hope that helps you out. Moving on to the fourth question is by Bill. So again, out of curiosity, put in ‘3×3’ into Instagram, comment or on my live chat on YouTube or write on the comment box on Facebook, if you guys have heard about my 3×3 and have been using. I just want to get the feeling and feel you guys out. And seriously for those of you that actually have not heard about my 3×3 method, you’re seriously losing out. You definitely want to head over to my YouTube channel search for my name and then you’ll see a video about the 3×3 Facebook app method, and it’s going to be night and day for you. And here’s the reason why, Let me ask this Bill’s question first and I’ll go into why and when you need to use it. You can use 3×3 method in any business. It doesn’t matter if it’s a Tripwire or Bait Method. You use a 3×3 method for any sort of campaigns that you want to run. Now, when should you use it? It’s when you have a brand new campaign that you are wanting to go and market, either a brand new product, a brand new sales funnel, brand new lead generation, I don’t care what it is. Because what happens is that with the 3×3 method, what you wanted to do is to quickly discover and find out if your ad is working, if it is you’re targeting that is working or if it is the product itself or the sales funnel is working. With the 3×3 method is used to actually test 3 things which is the 3 variables that will make or break your Facebook advertising campaign, let alone all the setup and everything if you strip down the course 3 things: (1) the offer (2) is going to be the targeting which is the audience, (3) is going to be your ad. Now the 3×3 method, you are literally given the ability to quickly go and market and figure out which of the areas that you need to work on in your business. Is it going to be the ad, is it going to be the targeting, or is it going to be the offer itself. And if you right on the gate, actually have a targeting and in offer and an ad that is working well, then you will have a winner and you simply just focus your efforts on that targeting by expanding on it, that one ad that is working, you don’t have to test any more ads because you know that in this working, you want to go and mark it right away. That’s why you actually wanted to use the 3×3 method especially when you are starting out. It is really used if you have a new offer, new sales funnel, new product that you wanted to test and you want to see if it works in the market or not you simply use the 3×3 method. I got someone on Instagram that tell me, learn about the 3×3 today, it will be game changer. Exactly, it is a game changer. Because it just cut the assumption part and just get the data super fast and super quickly for you. Now, once you actually use the 3×3 method, found the targeting, found the offer, found the actual copy itself then you simply just scale that one ad. That’s what you did because you really know what kind of audience is working or what kind of offer is working. So, I hope that helps you out Bill. [0:16:47] Question 5: I know it's not the problem of the design because I am able to sell over $500 worth of that apparel through Instagram DM’s (direct messages). I spent around $5 a day and run them for 3-4 days and spend $15 to $20 per campaign with little to no sales, the ads with little add to carts. total ad spend has gone above $100. So, please tell me what am I doing wrong and what I should do to improve? Hello, Fred. I hope you are doing great, I have gone through your Zero Up Lite course and love it. I am running a WooCommerce store and selling print on demand t-shirt and other apparels with some dropshipping items as well. I have been running some Facebook and Instagram ads on the t-shirt designs and getting data from Facebook and some sales here and there (close to breakeven). I am selling apparels at retail price. Here are the metrics of my average campaign. CPM= hover at $18-20 never gone below that excepts on Instagram Ads. I know it’s not the problem of the design because I am able to sell over $500 worth of that apparel through Instagram DM’s (direct messages). I spent around $5 a day and run them for 3-4 days and spend $15 to $20 per campaign with little to no sales, the ads with little add to carts. total ad spend has gone above $100. So, please tell me what am I doing wrong and what I should do to improve? 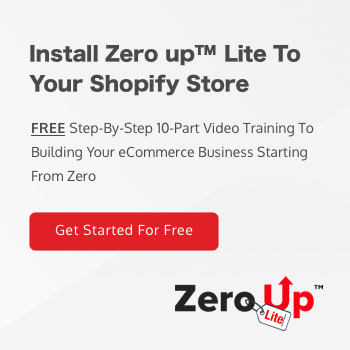 And I want to get your Zero Up paid training but I am on WooCommerce platform will that be compatible, so how could I get started? Thank you. So, Hitesh, that’s a really good question that you brought up. So, relevance core is amazing, CPM is good, CPC link is something that you, I think that need to work on especially when you’re selling a retail product. You want to actually get your clickthrough rate higher. 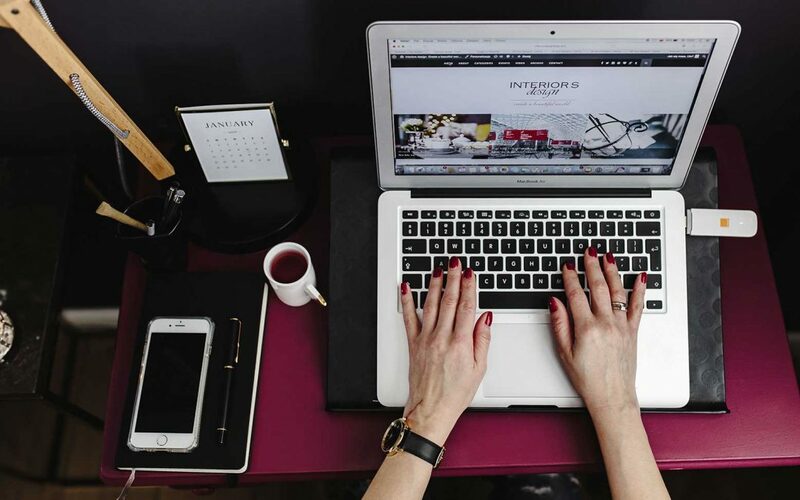 I mean, it is good but you want to make it great so that when you actually increase your clickthrough rate it would increase your cost per click and that will obviously help you with your particular campaign to get more visitors at a lower cost and really even at the conversion. Now, here’s the deal, I’m not sure how many designs you run and it seems like you spend $100 on multiple designs and you are selling a retail price product. I don’t know what your pricing is. It may be $20 on average. Sometimes to distinguish if the campaign is going to work or not for a retail product, you may want to actually spend 2x of the price that you are selling. So, at $40 will determine if that product going to sell or not, if that’s any add to carts or not. And with that being said, since that you already thought, you assumed that there’s nothing wrong with deep design and obviously to share of you, you cannot compare direct messages on people buying versus an ad because it’s really two different audience. Direct message is more for one traffic, they know who you are, they’re expecting a message from you. Whereas, cold traffic they don’t know who the heck you are, you are a complete stranger to them. So you cannot combine those two ideas together. It is completely different behavior, different psychology, different places, different people – very important. But let’s say that you assume or you let’s say that you know for a fact that the ad itself or the design is not going to be a problem, I think it really drills down to the ad and also it drilled down to the targeting. That’s the two. I’m not sure how many targeting you have tested which I highly recommend you to actually look at simply running the 3×3 campaign to diversify your target audience to see who are the people that are really going to be adding to cart and buying from you, and that will really help you out and determine a lot. Now I know that you’re selling apparel, I’m not sure what kind of apparel you’re selling. I know that you’re doing print on demand at the same time. What I can tell you and here’s a tip for you if you’re selling apparel or lifestyle accessories, you want to use lifestyle photos. So maybe someone actually wearing that t-shirt, a real person wearing that t-shirt, real person wearing that accessory, it would actually increase your conversion rate and it would increase your clickthrough rate at the same time. So anyways, coming back to answer your question. You definitely want to basically test different targeting, use the 3×3 method, test different targeting to see because again the targeting can make or break. And it’s true, targeting can make or break. And that’s why I introduced 3×3 method, give that a shot first and then go from there and tell me back in the ask form and to share with you results with me and we will dissect more from there. Now to ask your last question, I know that you’re in WooCommerce, I respect that but I want to say the Zero Up paid program is only for Shopify. And the reason why is that I put my name behind Shopify because all my businesses or on Shopify and I don’t use WooCommerce. And there’s a big reason why I do not use WooCommerce because of vulnerability reasons, attack reasons, extra pricing on hosting, they don’t have a great CRM system, there’s a whole list of why I don’t choose WooCommerce. So for you, I think it may be wise for you to look into getting a Shopify store because it will increase the conversion on your website, and one thing that I know for a fact, this is a factual that Shopify checkout form is sort of the highest converting checkout form that I’ve ever seen in my years of running an online business especially for mobile for mobile checkout, it is phenomenally the best of all. So that is really it for the 5 questions of today for our daily huddle. Now tell me what you guys think about my daily huddle right into the comment box regardless if you’re watching this live, or even watching the replay, if you liked it, hate it, love it, got some feedback, let me know right below in the comment box. I read every single one of them. I don’t answer it but I do read it because I do get notifications. Okay? There was a guy, I’m not sure if he’s here today. He always say on YouTube, smash that like button – I love that. He always say that smash that like button, so definitely do that smash that like button, share it to your friends, share it for your family, anyone that can really benefit from my daily huddle, make sure you do that. Now again, if you want your question to be featured in my daily huddle, all you got to do is simply go to www.fredlam.com4/ask. Obviously, I won’t be able to get to every single person’s question, and quick lightning speed of receive because I answer 5 questions per day and I always get like a lot of questions that obviously got poured to me. So, just basically share that with you guys. And also, I’m trying to get more Instagram followers. Obviously, almost hit 50,000 YouTube subscribers, so let me talk to you YouTubers. Anyone that’s watching on YouTube, if you have not have subscribed to my YouTube channel, and if you’re watching on Facebook, if you’re watching on an Instagram, please head over to YouTube, click that subscribe button under Fred Lam and make sure you click on that notification bell to join our notification squad, so that each time I have a new video, or if I am coming on, or when I am coming on to my daily huddle, you’ll get an instant notification right away before anyone gets an announcement on that. Now for those of you that are on YouTube, Facebook and you Instagrammers, okay? I love Instagram. Make sure you follow me on Instagram today. Don’t just listen to me, show some love. I want to get my Instagram channel up as soon as possible, I’m going to share more of my background lifestyle in there. It is boring. It is very boring if you want to see the boring side because that’s all I do is work. So make sure you follow me on Instagram and obviously tell your friends and family about my daily huddle. Other than that, I look forward on seeing you guys tomorrow. I do not know what time I’m going to be coming on live only because tomorrow I’m going to be going to Vegas. So I probably will do it from my hotel room or I may gamble and do a live at the same time and answer some questions. I’ll find out about it. So if you guys are going to be at Vegas, I’m going to be around Mandalay Bay Area for Grant Cardone’s 10x Growth Con. Alright, other than that I look forward on seeing you guys tomorrow make sure you leave a comment below, subscribe to my YouTube channel, follow me on Instagram, follow me on Facebook, and I’ll see you guys very soon. Bye now.